Ten Bar-codes created using bar-code software featuring a selection of numbers and codes for several retail products. The bar-codes are all different sizes, some feature code numbers and some without numbers. None of these bar-codes are scanned in so the quality of the images in very high. 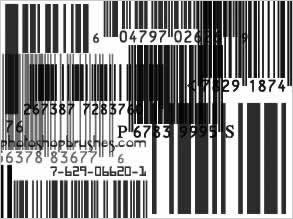 There are more Barcodes featured in the Packaging Brushes section along with Postal Franks.